Visiting an apple orchard is a great way to introduce the letter A to your preschool child. Science, language arts, math, and art are all subjects illustrated in God’s world as apples are discussed, picked, and tasted. 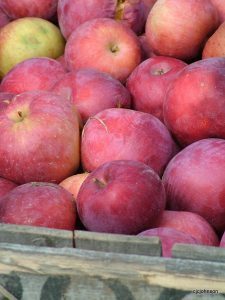 Language Arts and Math: Discuss the different varieties, colors and sizes of the apples with your preschooler. 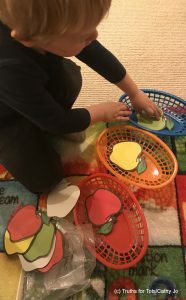 Use real apples or paper apples to sort and count. After sorting count and talk about same, more and less. 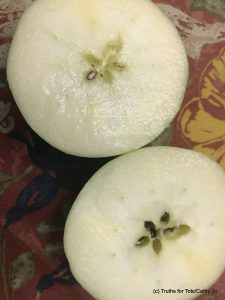 Math and Science: Cut open an apple and count the seeds. Discuss what grows when an apple seed is planted. Discuss what a seed needs to grow. Use 3 varieties of apples (Granny Smith, Golden Delicious, and Red Delicious) and have a taste test. 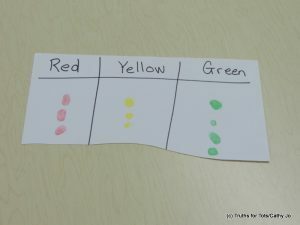 Use a color corresponding stamp pad to graph the preschooler’s favorite and then discuss results. Art: If you cut an apple through the middle while it is on its side, God has placed a special thing in the middle of the apple. Your preschooler will be excited to see a star! 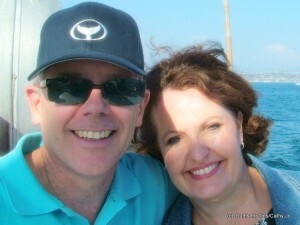 God brought the star down from the heavens and placed it in an apple just for us! 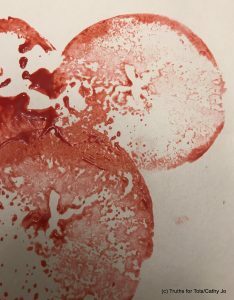 Use this apple in a stamp art project with paint. 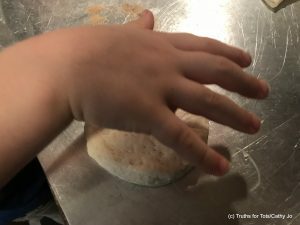 Easy bake “apple pie” with your preschooler. 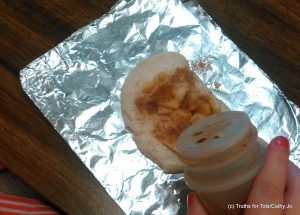 For this apple pie you will need cinnamon and sugar in container, tube refrigerator biscuits, butter, and 2 cups of chopped apples. 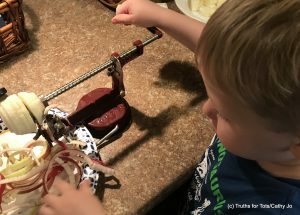 If you have an apple peeler it is really fun for the child to use. Peel and chop apples, have chilld smash biscuit flat, add a large teaspoon of chopped apples to biscuit, shake cinnamon and sugar on apples, top with a small pat of butter, fold over biscuit and seal well. Bake at 350 degrees for 10 minutes or until golden brown, then cool and enjoy! Books to read and enjoy: Apple Pie Tree by Zoe Hall, Apples by Gail Gibbons, Apple Farmer Annie by Monica Wellington, The Seasons of Arnold’s Apple Tree by Gail Gibbons, Johnny Appleseed by Jodie Shepherd, and Apples, Apples, Apples, by Nancy Elizabeth Wallace are some books that are lively, rich, and beautifully illustrated apple books for the preschooler and early elementary child.